This property’s sellers have cherished this home-sweet-home for over a decade now, and while they were first attracted to the home because of its excellent location, there are so many other reasons why they have loved their time here! In addition to lovingly maintaining the space and the several recent updates, they also added a storage shed, an 80-gallon hot water heater, a furnace, and a new roof during their time in the home. Now this residence is ready for a new chapter, and as soon as you step in through the front door, its bright and open layout beckons. 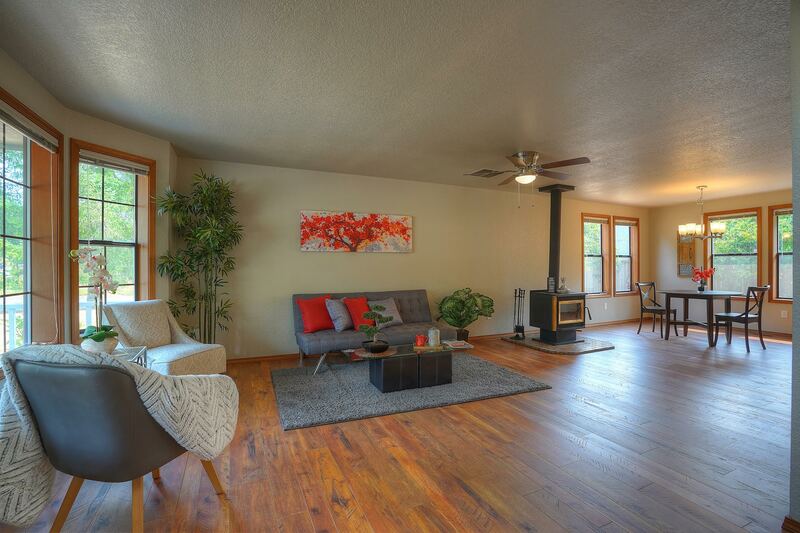 The living room flows right into the dining area and kitchen, and a fireplace adds a cozy element into the space. Imagine snuggling up on the couch with a warm fire on a winter evening, and just picture how idyllic this space could look during the holiday season! The kitchen is a definite highlight, and new shimmering quartz counters and sleek appliances take this space’s style up a notch! Enjoy laid-back bar-style counter seating, tons of room for meal prep, and generous cabinetry with ample space for kitchen essentials. The kitchen flows into the laundry room, and from here, the rest of this home’s layout opens up to the 3 versatile bedrooms. 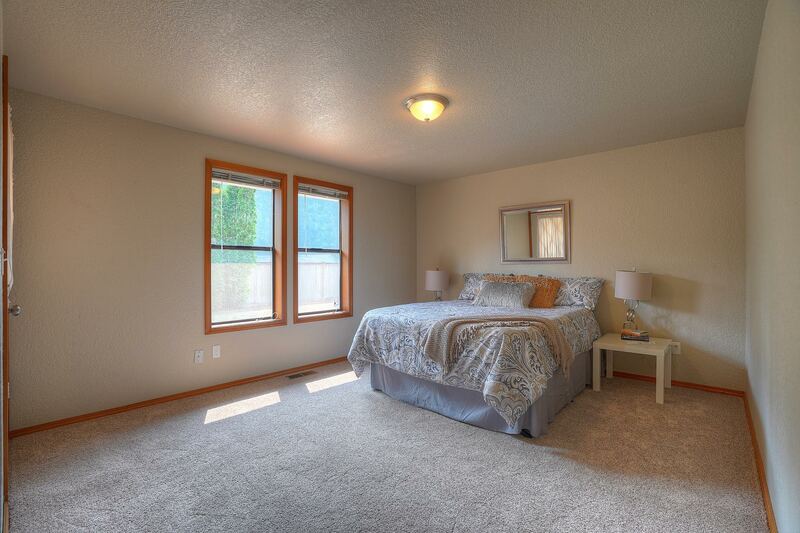 The 3 flexible bedrooms ensure loved ones have privacy, and if you have an extra room or 2, you could easily use the space as a fitness center, office, hobby room, or playroom! The master bedroom is definitely not to be missed—here you’ll discover an extra-large layout with enough space for a sitting area or desk, and a walk-in closet and ensuite bath are all yours to indulge in. 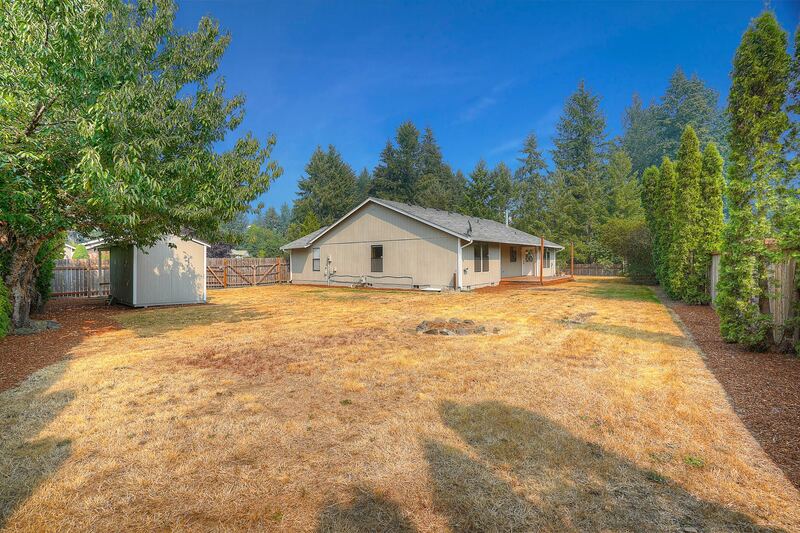 Boasting a 0.37-acre lot, this Olympia gem is an absolute dream for those who love to spend time out in the fresh air! The fenced backyard features low-maintenance landscaping, a spacious deck, fruit trees, raised garden beds, a garden shed, and even a hot tub hook-up. Keep things simple and as is, or put your green thumb to work cultivating flower beds and raised garden beds overflowing with homegrown fruits and veggies. You’ll also find fabulous potential for outdoor entertaining with the deck—barbecues and summertime get-togethers are right at home in this picture-perfect scene! 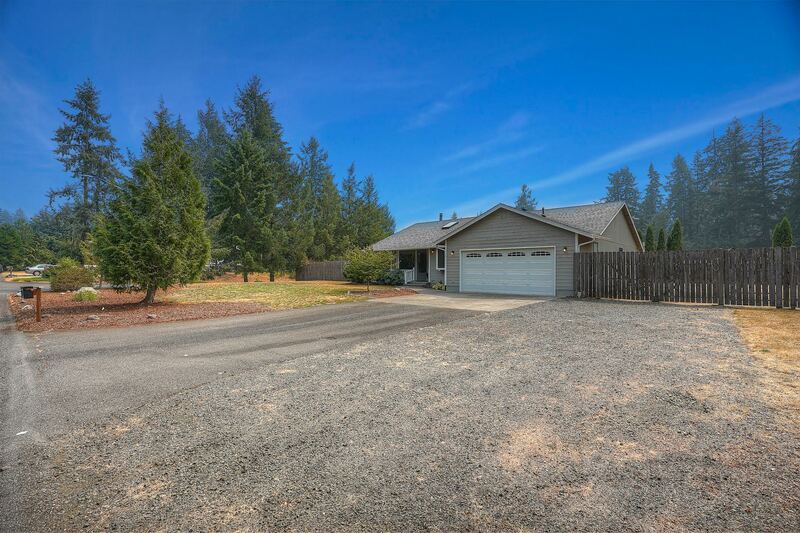 At 3143 Marquette Dr SE Olympia, WA 98503, you can enjoy having your own spacious property to spread out on while still being just minutes to city conveniences. Here you have easy access to Joint Base Lewis-McChord, and you’re also only a 9-minute drive to connect to Interstate-5. The Hawks Prairie Village Mall is only 7 minutes from home, and here you’ll find places like Costco, The Home Depot, LA Fitness, Petco, Best Buy, Walgreens, and too many other shops, restaurants, and services to name! 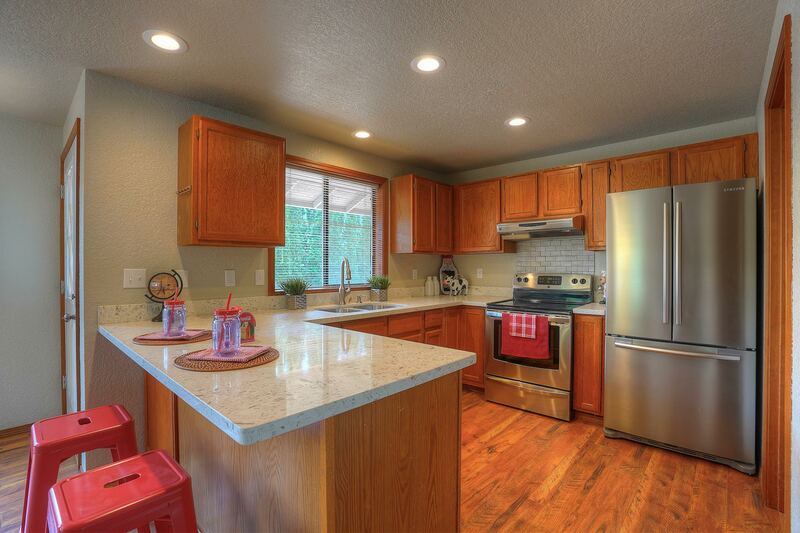 You’re also just a few minutes to schools, parks, lakes, and opportunities for outdoor recreation. Interested in learning more? Click here to view the full listing! You can also contact REALTOR® Linda Solheim online here or give her a call/text at (253) 279-7665, or contact REALTOR® Erin Dobrinski online here or give her a call/text at (253) 380-7702.